Australian made and owned, supporting local business. 100% natural product containing no nano-particles, petrochemicals, synthetic substances, parabens, GMOs or artificial fragrances. Formulated for sport and outdoor activities. Nutrient rich avocado oil contains beta-carotene, protein, lecithin, fatty acids, and vitamins A, D, and E, providing deep hydration and improving the texture and elasticity of dry, damaged skin. 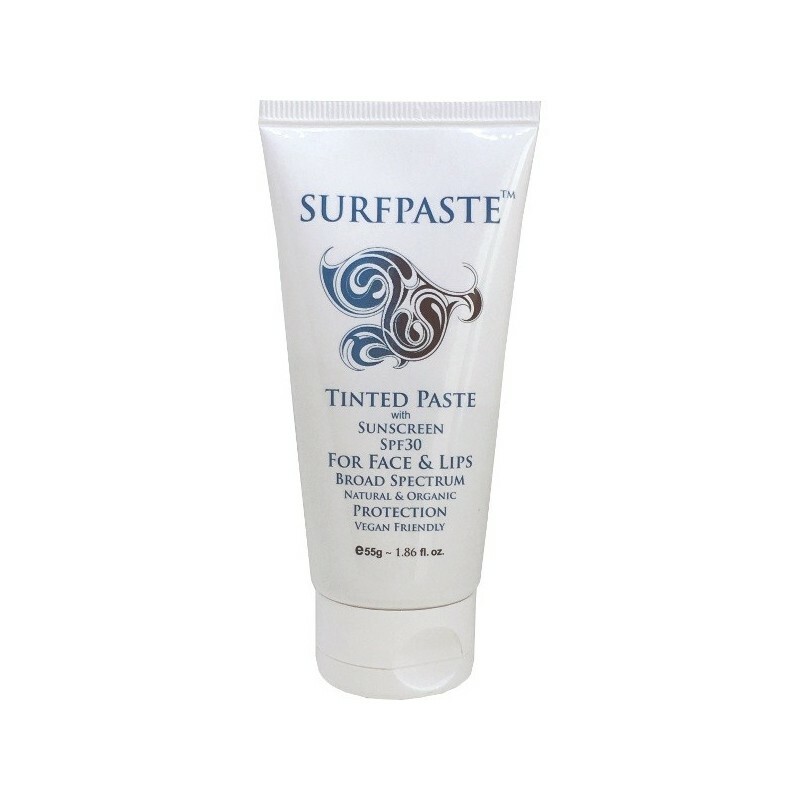 Also providing protection for your skin from damaging UV rays. Cocao butter is high in antioxidants which help fight off free radical damage to the skin, such as skin aging, dark patches, and even dull skin. Protecting your skin from free radical damage is a must if you want healthy, younger looking skin. Cocoa butter is also high in fatty acids, which help waterproof, hydrate and nourish the skin deeply. Jojoba Oil naturally contains a balance of vitamins A, D and E, which are known as skin healing vitamins. Jojoba also contains powerful antioxidant properties able to penetrate down to the skin matrix level, protecting against accelerated aging by providing suppleness and moisture. Shea Butter is naturally rich in vitamins A, E and F. It provides the skin with essential fatty acids and the nutrients necessary for collagen production. Shea butter has been used in Africa and other countries for years to improve skin and hair. Applying raw cacao to your skin offers a lot of the same benefits as eating it. The high levels of antioxidants protect and repair the skin from damage and premature aging. And as a potent anti-inflammatory, it soothes redness and blemishes, improving the skin’s complexion. Vitamin E helps to moisturise the skin and even more importantly helps with tissue repair, thereby keeping the skin in good condition. Containing one of the best fat (lipid) based antioxidants, Vitamin E has proven to be effective in reducing sun-induced skin wrinkling. Vitamin E is also required for healthy collagen – which is the support system in the skin and helps the skin to remain firm and healthy. Castor Oil has the ability to penetrate deep into the skin, helping to promote the production of elastin and collagen, which help delay the appearance of fine lines and wrinkles and also give the skin a more youthful appearance. It also acts as a natural moisturiser for anyone suffering from dry skin, and is nutrient rich in vitamins and minerals. Zinc Oxide (Non Nano) 38% is a physical sunscreen which sits on your skin forming a barrier to protect you from harmful UVA/UVB rays. 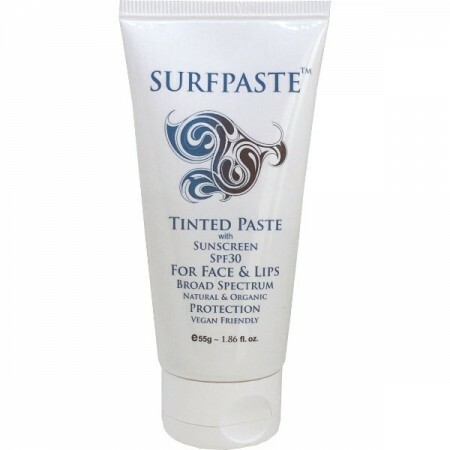 For the ladies, Surfpaste is a great suncover foundation which helps reduce premature ageing caused by sun exposure. 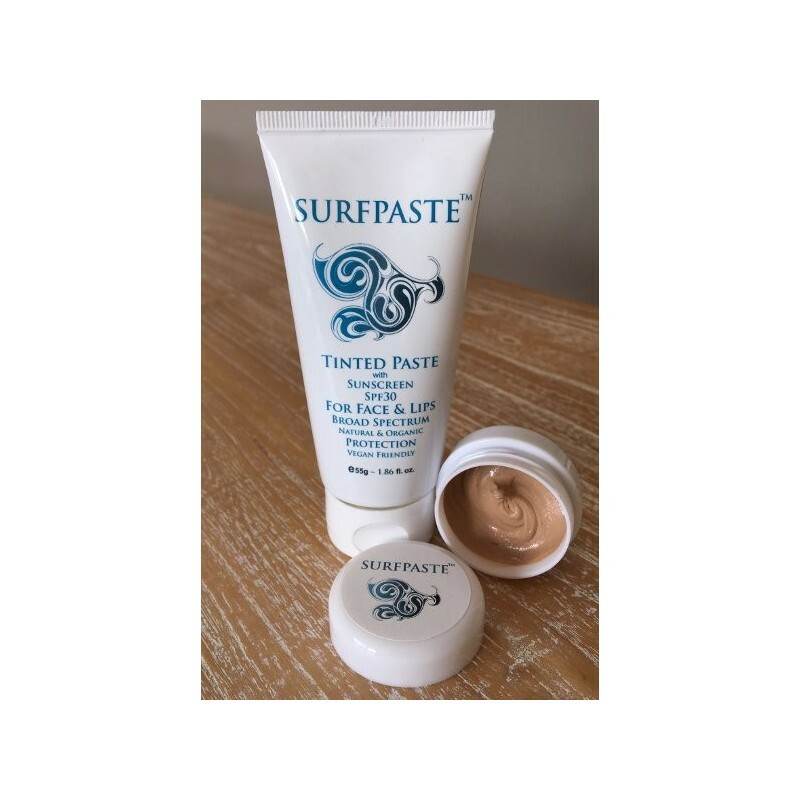 If you struggle with sensitive or acne-prone skin, the zinc oxide in Surfpaste helps to soothe the inflamation of acne and may reduce sebum production. Zinc oxide is non-comedogenic, non-irritating and non-allergenic. Great tan colour, the perfect shade for most skin tones. Easy to apply and stays on for hours. Ricinus Communis (Castor) Seed Oil*, Zinc Oxide (Non - Nano) 38%, Theobroma Cacao (Cocoa) Seed Butter*, Copernicia Cerifera Cera (Carnauba)* Brazil, Cocoa (Powder)*, Ricinus Communis (Castor)* Seed Oil hydrogenated, Butyrospermum Parkii (Shea) Butter *, Simmondsia Chinensis Seed (Jojoba) Oil*, Persea Gratissima (Avocado) Oil*, Tocopherols (Vitamin E), Iron Oxide CI.77491 CI.77492 CI.77499. *Denotes certified organic. 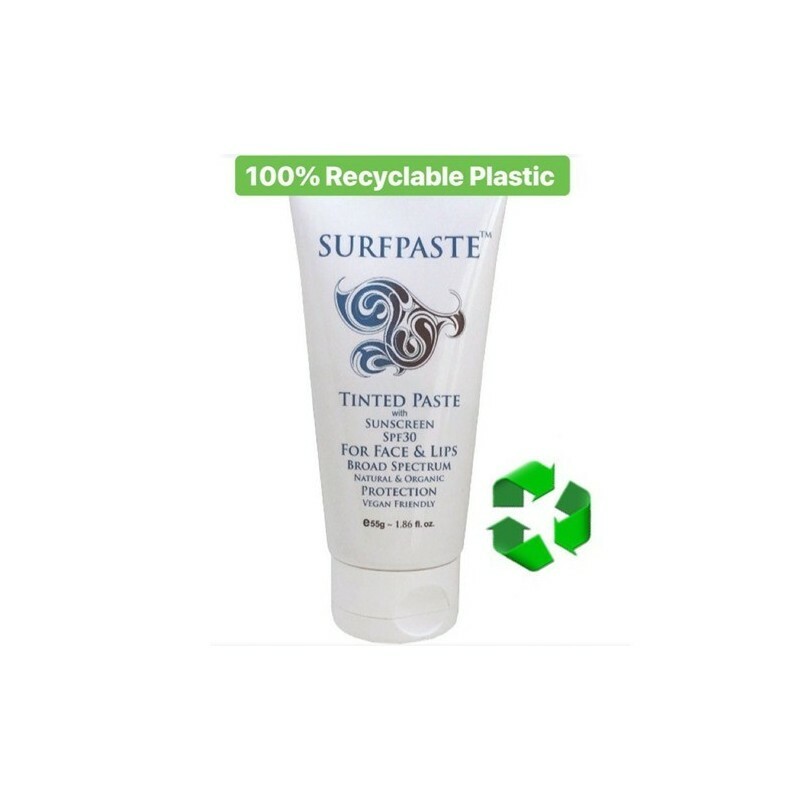 Packaging made from 100% recyclable plastic. Looks good on, and won't sweat off. Is quite sticky though and takes a bit of work to get on, is very thick. 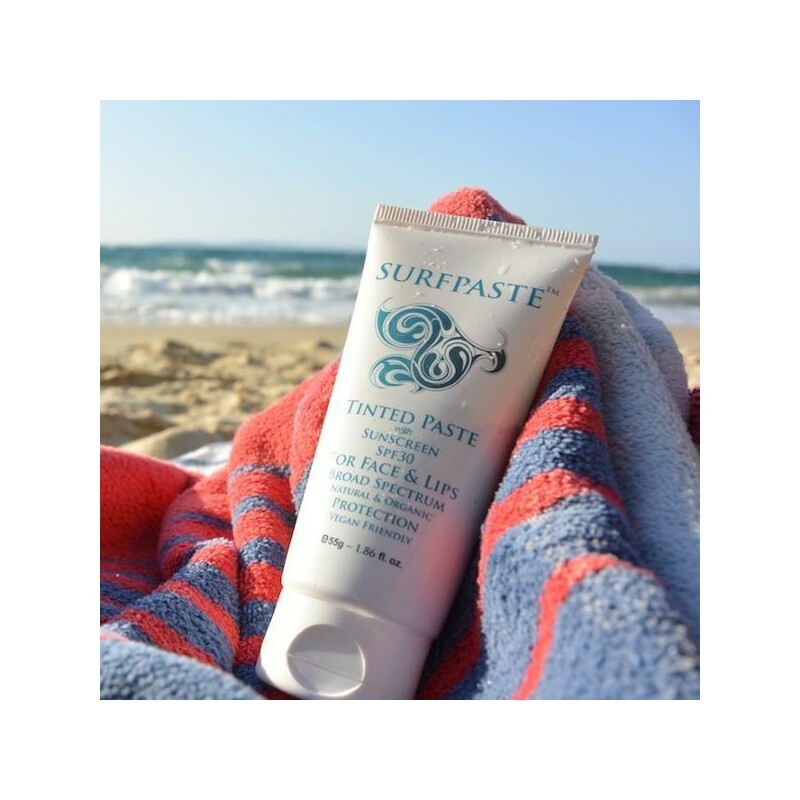 I first started using Surfpaste as a sunscreen for when I would spend long hours in the sun. Not only has is it protected me from sunburn, but it has also helped my problematic skin. I absolutely love the colour and now use it every day as my foundation.